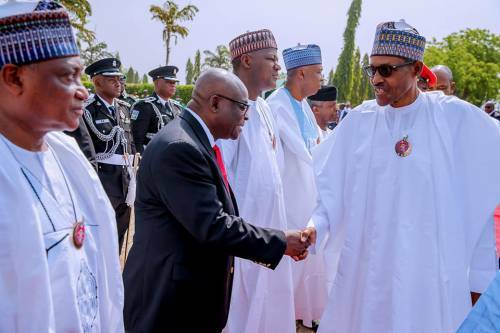 In spite of the allegations of fraudulent declaration of assets levelled against him, Walter Onnoghen, Chief Justice of Nigeria, was all smiles when he shook hands with President Muhammadu Buhari on Tuesday at the Armed Forces Remembrance Day celebration. 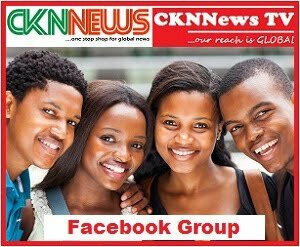 The event held at the National Arcade, Eagle Square, Abuja. Onnoghen is standing trial over charges related to alleged fraudulent declaration of assets, with the Presidency, despite denying it, being fingered as the hidden sponsors of the trial. The petition on the CJN's false declaration of assets was submitted by a civil society group, the Anti-Corruption and Research Based Data Initiative (ARDI), whose Executive Secretary is said to be an ally of President Muhammadu Buhari. 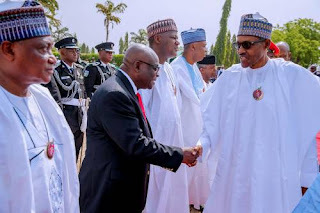 However, at the Armed Forces Remembrance Day celebration, Buhari exchanged a warm handshake with the embattled CJN. 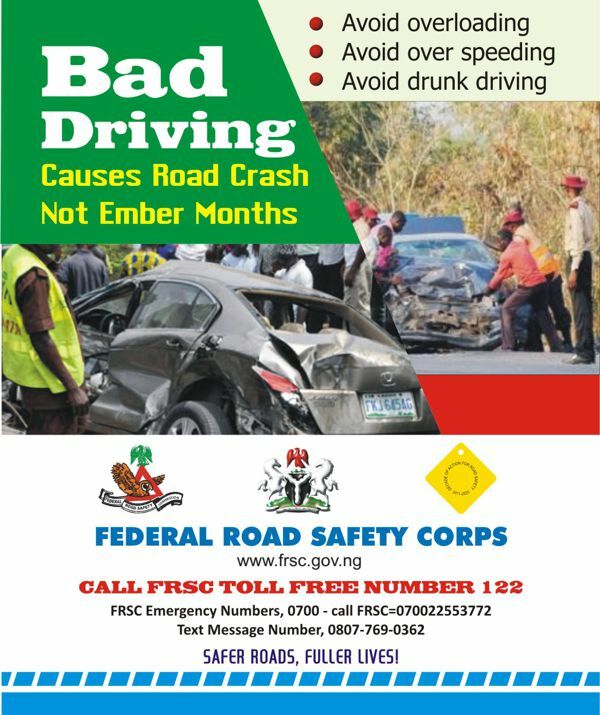 Also present at the event were Vice President Yemi Osinbajo, Senate President Bukola Saraki, House of Representatives Speaker Yakubu Dogara, among others.